This incredible agate pendant rests on a string of glittering faceted crystal. 17″ long. 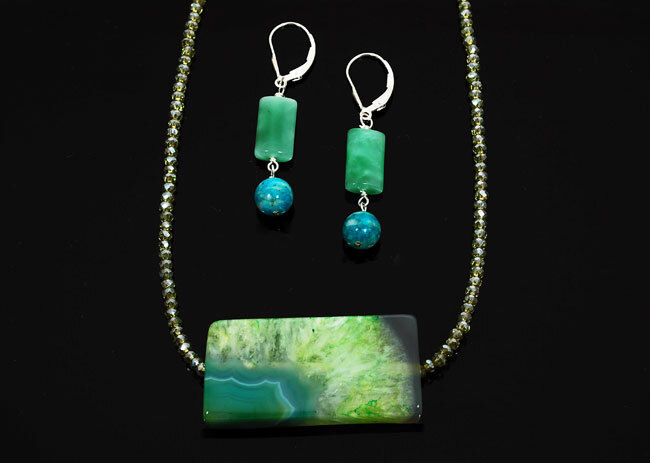 Matching earrings in green quartz and amazonite.